Check out this fantastic video about BORP’s own Kendra Scalia-Carrow and her experience as a Power Soccer player. I was reffing so much I hardly got to see the Crushers at all but here are the results. Perhaps Chris and the team/supporters can provide some reports on their experience? Crushers finished 4th in their pool and played the top team from the other pool in the quarterfinals. I believe Crushers were broadcast twice. It’s a little hard to find them in the archives and the quality varies. 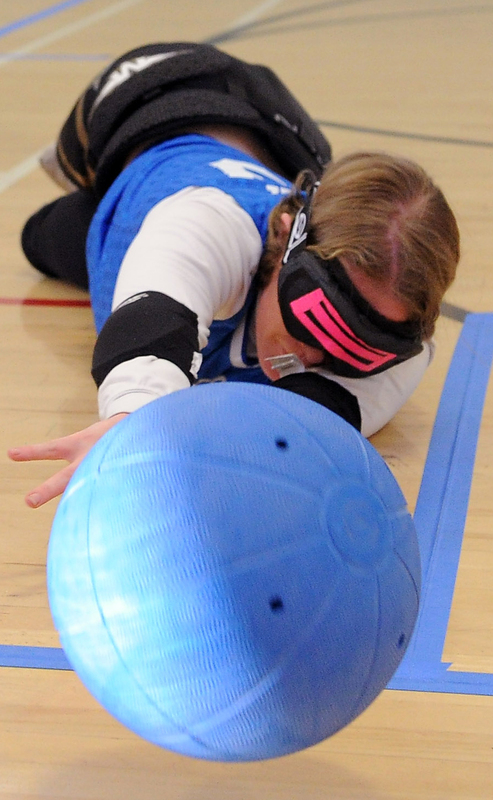 Enjoy some live goalball action and root for the Earthquakes (Joe, Victor, Nick, Matt), Cyclones (Chris, Abel) and Bryanne (pool player, not sure which team she’s on). Please forward this to anyone who might be interested. 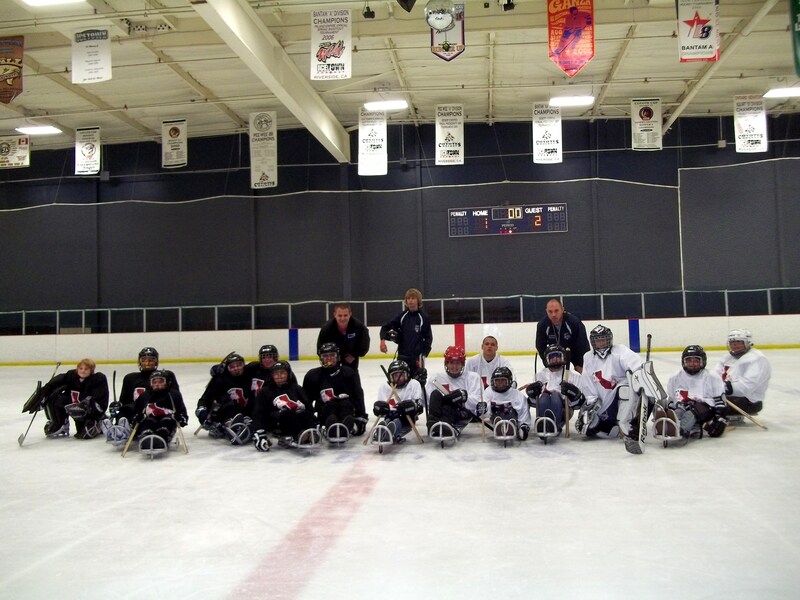 Sled Hockey-BORP kids win in L.A.! BORP Kids win in L.A. The BORP Youth Sled Hockey team went down to LA for the first ever NorCal vs. SoCal Youth Sled Hockey game and came out as champions. The kids played an amazing game, using their speed to control the pace of the game and keeping pressure on the kids from SoCal the entire game. SoCal played a physical game, taking every opportunity to check our kids but they could not clear the puck out of the zone and we controlled the puck for most of the first period. The game was tied until the second period when we were finally able to get on the scoreboard. We sent the puck deep into the corner to get possession deep in their zone. Isaiah and Koda worked hard to get the puck and sent it across to Chris. The puck got sent in off a stick, went back to Koda and he was able to finally get one past the goalie to give us a 1-0 lead. SoCal came back a with a few minutes left in the second period to tie the game at 1-1 off a clean break out of a pile at the blue line. Their top player was able to come across the ice and get one past our goalie’s glove. Going into the third period, SoCal turned up the pressure a bit and was able to get the puck deep into our zone and control the battle against the boards. We were able to change the momentum when we started to constantly check the puck handlers for the other team. Zach nailed their big guy every chance he got and this freed the puck for his teammates. It not only limited their ability to move, but also allowed us to regain control of the puck and created breakaway chances. Chris made some great passes and Koda was able to break free with Isaiah on a 2-on1 only to have the goalie shut them down. Then we were able to break in again and hit the post – no goal. Then we broke in again with Koda bringing the puck up the right side. He played it perfectly, freezing the goalie for a second and passing it over to Garnett for a shot. Unfortunately the goalie played it just as perfect and was able to slide across and make the save. A bad pass in the neutral zone lead to a break-away from SoCal’s top athlete. Our defense could not get back fast enough to challenge and it was just him and the goalie. He shot a rocket of a shot, beating the goalie high on his glove side, the crowd went wild. Unfortunately (for him) he had shot it just wide and the players on the ice were the only ones that recognized it. Everyone just expected it to go in. This kept the puck deep in our end though and we were battling in the corners to get it free. Isiaih finally got the puck from the pile and sent it up the boards to Garnett and he was ale to clear the zone. This allowed us to regroup a bit and shift momentum back in our direction. With one final clear of the puck after a face-off win the kids counted down the time to their first ever Sled Hockey victory! It was amazing watching the kids come together, work so hard, support each other, and have a blast. 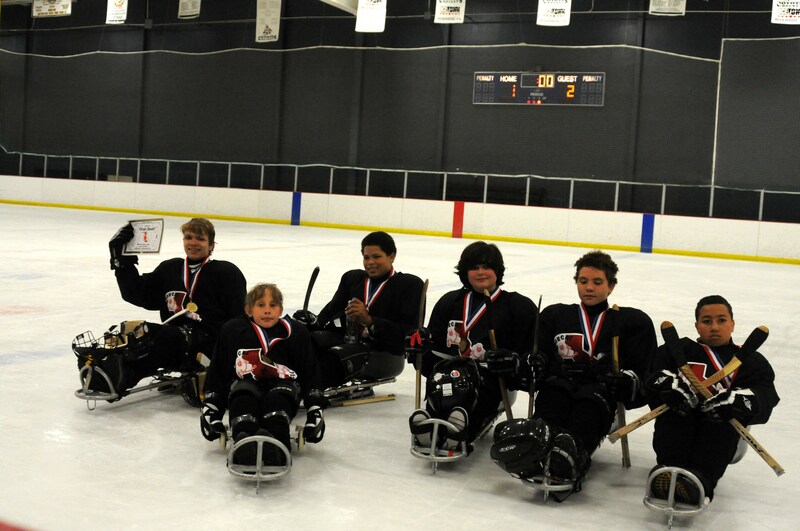 Congratulations to the following kids for being the Champions of the very FIRST NorCal vs. SoCal Youth Sled Hockey game. Daniel, we hope you get better fast, and Zach (little Zach) we hope to see you soon. Charity Poker Event to Benefit BORP! Hello BORP fans! Are you ready to shuffle up and deal? This summer BORP is partnering with Walnut Creek Rotary Club at their charity poker event July 28, 2012 11 AM at the Pyramid Alehouse, 1410 Locust Street in Walnut Creek. The way the partnership works is the more people from BORP that we can bring to their charity poker tournament, the more money BORP will receive in a donation from the Rotary Club. If we get 25 people to come they will donate $1000 to BORP. The tournament is a lot of fun, lunch is included and if you register on their website by July 14 you get an extra $200 in chips to start! On the day of the tournament please arrive by 10:30 AM and mention you are there to support BORP. BORP’s own Chris Finn will be there at the registration table and playing in the tournament. Yes he will finally get to play in a tournament! Remember to register early by July 14 on the website above to get your extra $200 in chips! If you have any questions go to the website and click on the contact name Tim Green. Make sure to tell him you’re coming to support BORP. Did you Listen to Your Breath Today? Mark your calendar as we learn how to DISCOVER the potency of our breath. Come and join Nancy Yates (Yoga Instructor to Seniors, Veterans,Visually Impaired/Blind & Disability Communities) at the San Francisco LightHouse for the Blind and Visually Impaired on: Saturday, June 16th, 2012, from 3:30 to 5:30, 214 Van Ness Avenue, SF 94102, close to the Civic Center BART Station (easy). We will playfully stretch, breathe, and giggle! Did you know that your shoulder muscles can restrict your breathing. Your jaw muscles can restrict your breathing.Your chest muscles can restrict your breathing. Your ankle muscles can restrict your breathing. There are about 75 trillion cells in your body, and they are all breathing—or should be! Join us for this “expansive breathing experience.” This Workshop will be held at: San Francisco LightHouse for the Blind and Visually Impaired. We suggest a donation of $15 or more to cover expenses, no one is ever turned away because of money. We want YOU there! This Workshop will fill up fast. To RSVP Contact Brandon Young, Blind Leaders Specialist byoung@lighthouse-sf.org OR nancyyates1@gmail.com, T-415-346-8119. deelish organic strawberries afterward. See you there, Pinky, Yalie, Tango! woof, woof .